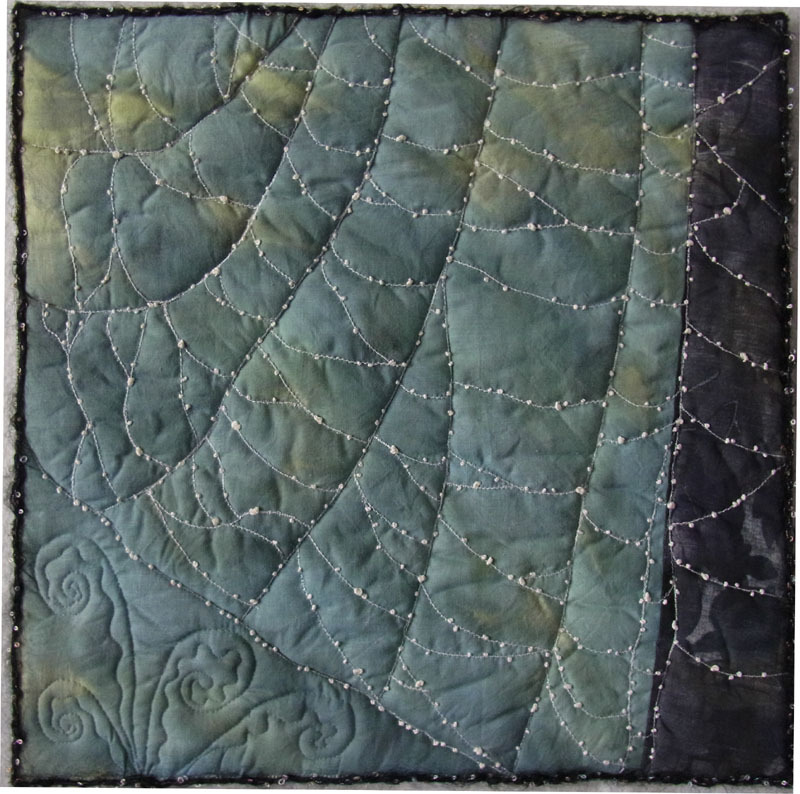 Diana Vincent is a member of FifteenbyFifteen Quilt Group and regularly contributes to the bi-monthly challenges. This week I interview Diana (via Internet) and I hope you enjoy reading more about Diana. Question. 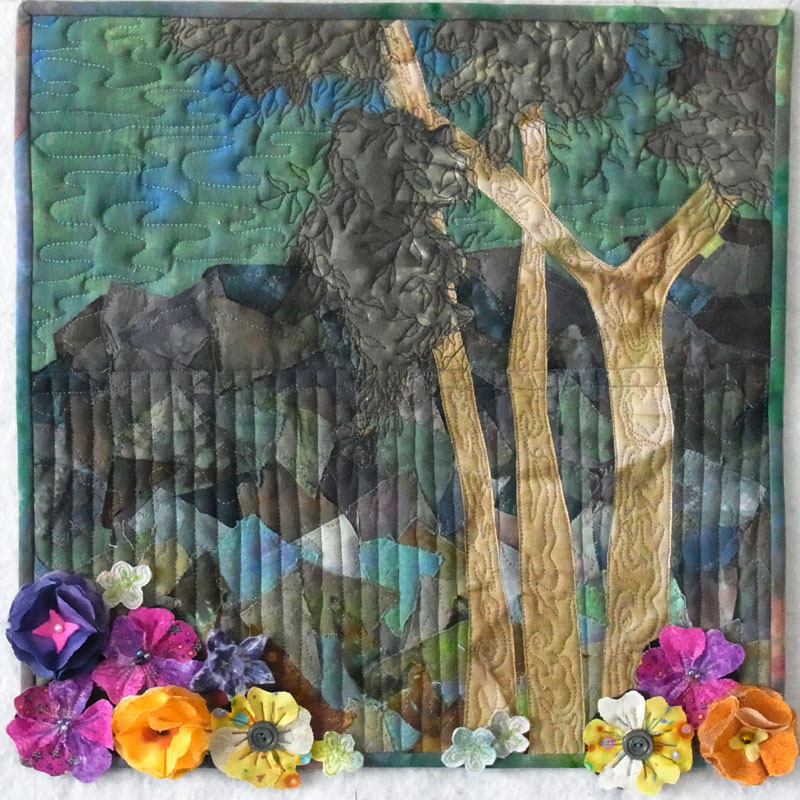 Diana, you talk about beginning your love of quilting by sewing simple patched quilts for your children, and then progressing to contemporary and then to art quilts. What helped or inspired you to make this transition? Answer. The resurgence of quilting in the late 70’s began this transition. At that time we were having a new house built and consequently I was reading a lot of home magazines, which were including quilts in their decorating ideas. I was keen to have more than just traditional quilts for my beds and began investigating designing my own for a more contemporary look. Later I started making art quilts to enter into competitions and to hang on my own walls. Answer. Two of the originals, Downunder Quilts from Australia and New Zealand Quilter. Both of these I have read almost from their inception. I like these because they have plenty of articles, not just patterns. Quilting Arts I buy occasionally for their techniques. Answer. My environment – a walk in the forest or along by the ocean, architecture, some quirky thing I see when I am out. I carry my camera with me most of the time and find most of my inspiration from my pictures. Question. You mention a workshop that you took with Nancy Crow and how this helped with your work, can you elaborate? And do you take workshops on a regular or casual basis? Answer. The week with Nancy Crow was a revelation to me. She teaches the freedom from following the rules and the fear of not always pleasing everyone who views your work. I found after this workshop my work was more spontaneous, free flowing backgrounds and strong use of colour emerged. I take very few workshops. The ones I do take are generally week long and usually involve a technique I want to learn. Question. As a teacher with accreditation with the Western Australian Quilters Association, do you teach regularly or on a casual basis? Answer. Now in my seventies, I have given up teaching large workshops. I do still teach small workshops, mainly in my own home, generally for a group of five or six. Answer. 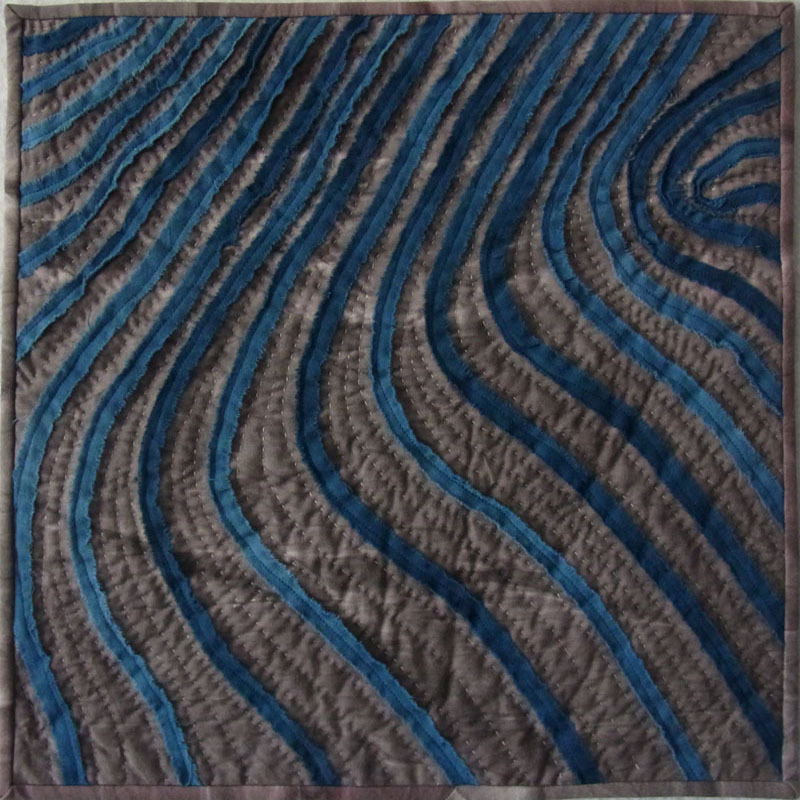 I love machine quilting and have invested a lot of time into getting it right. I also enjoy dyeing and the wonderful results you get. Question. I have noticed in your quilts the use of the colour blue; is this your favourite colour? Answer. I do like blue, but this is just coincidental in the 15×15 quilts. I am a great lover of colour and most of my bed quilts are bright. 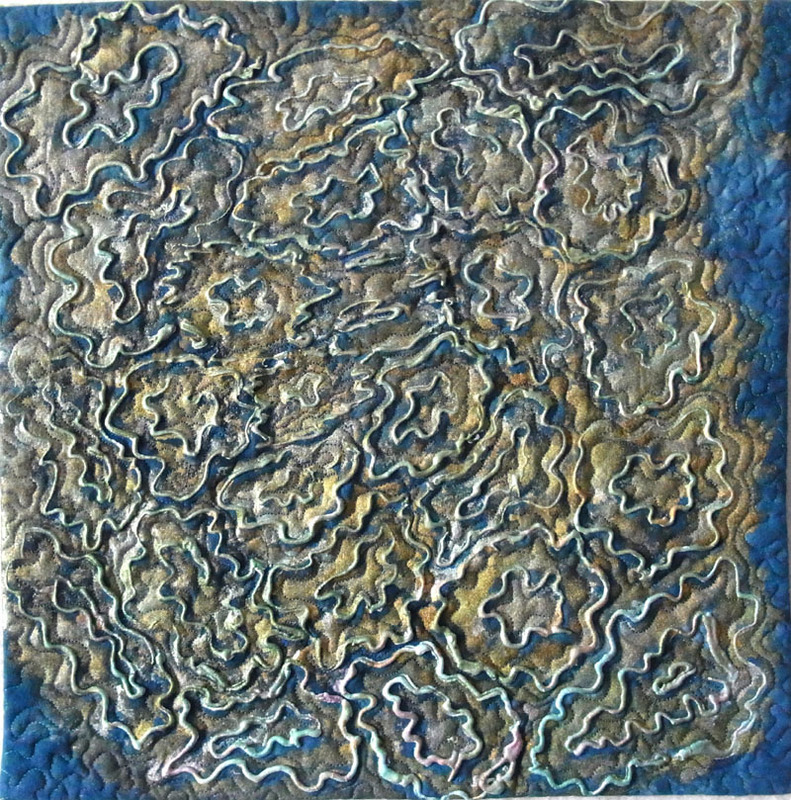 Art quilts, of course have to be what your source inspiration suggest, unless you are going for an Andy Warhol effect. Answer. Yes, I do. I am not a great artist and they are not a thing of beauty, but I find it very useful to put down my ideas and work them through. Answer. I have an industrial flatbed Mitsubishi that I do all my straight sewing on. A thirty year old Pfaff that I still find very useful for doing finer work on such as pin tucking and fine hemming. I also have a Pfaff quilt expressions 4 that I bought expressly for machine quilting as it has a wider throat and more room to get a large quilt through. I find all of these machines excellent. Thank you Diana, it has been a pleasure.